New Zealand has a very delicate ecosystem. 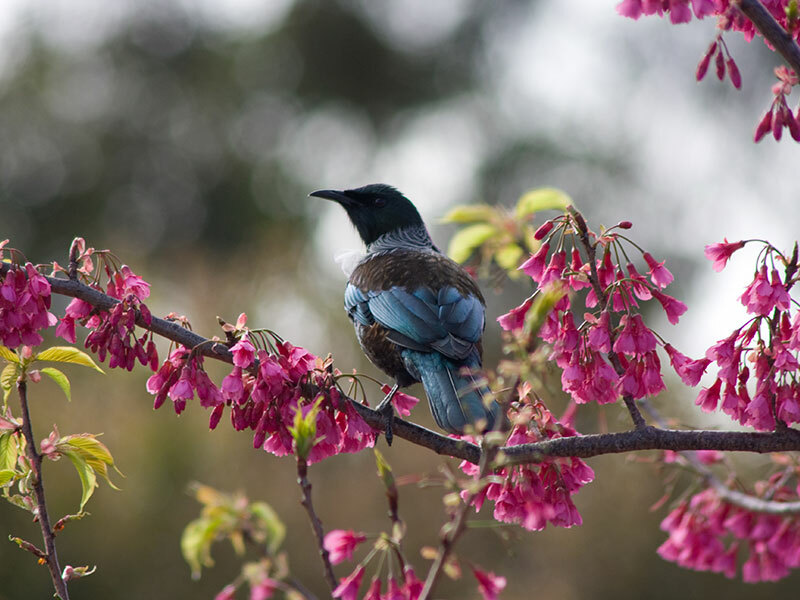 Our islands are very vulnerable to any introduced species or organisms – as well as the damage that is caused by taking and not replenishing, so we take our responsibility to look at ways to reduce our footprint in tourism here very seriously. We have begun that by putting together a series of eco travel experiences combining the best in luxury (which is what we are known for), and at the same time looking at every little detail to make it as eco friendly as possible. It is a mission and one we will continue until Love My New Zealand really is 100% Pure New Zealand. 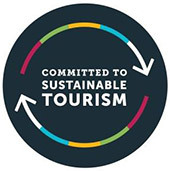 We are the first tourism company in New Zealand to launch the eco travels portfolio. Enjoy looking through them. Our portfolio of luxury properties use products and systems which are bio-degradable, recyclable, sustainable or at the very least, sensitive to the environment. Some use organic vegetables, herbs and fruit and some use 'Bio Cycle' sewerage systems turning sewerage into clean water that is used to irrigate native planting and non-edible gardens. 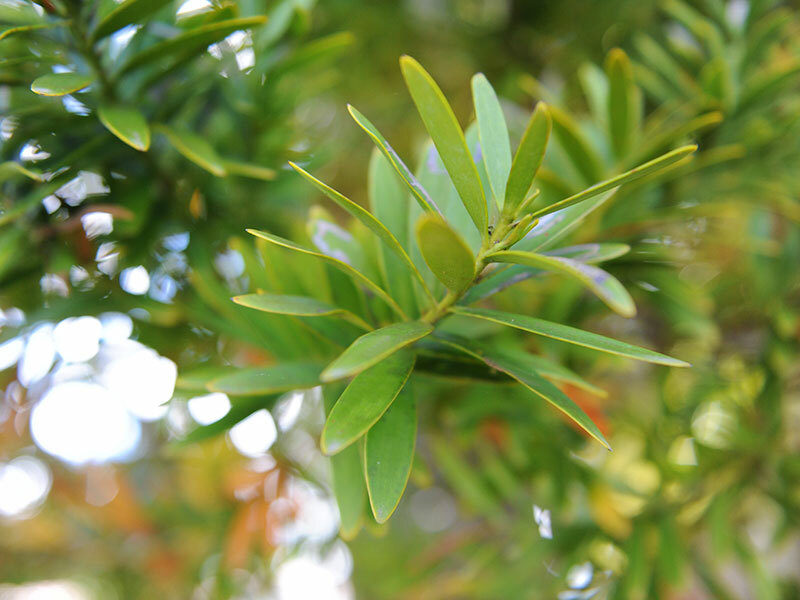 Landscaping with recycled timber products and native planting is continuous and extensive in many of our properties. Water supply in some is collected rain water and drinking water is filtered from the rain. LED lighting is used extensively and our properties work hard to promote energy saving policies while at the same time retaining the "luxury" of the experience. Cleaning products used are eco-friendly so luxury does not equal waste. Removing plastic from our operations means we need to make sure our clients have access to fresh drinking water on our tours and experiences. There are many cool businesses in New Zealand who are replacing plastic with functional, long-lasting alternatives and we are happy to support them. 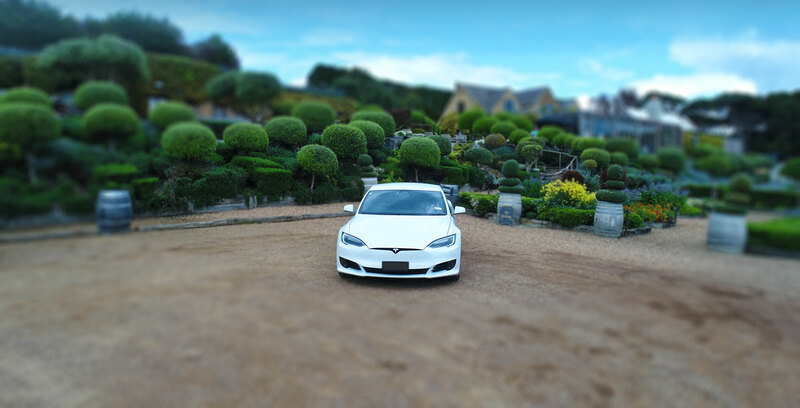 Our environmentally-friendly Teslas are the ultimate way to travel around NZ. 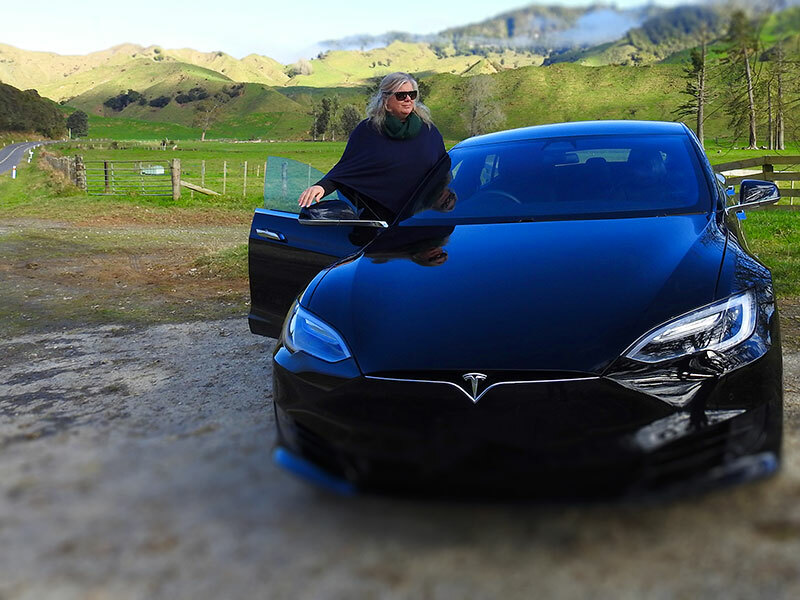 Using state-of-the-art Tesla 100% Electric Cars and working with cool local companies such as SNAP, we are able to utilize electric travel, especially since the hard to reach places in New Zealand require vehicles that are up to the job. 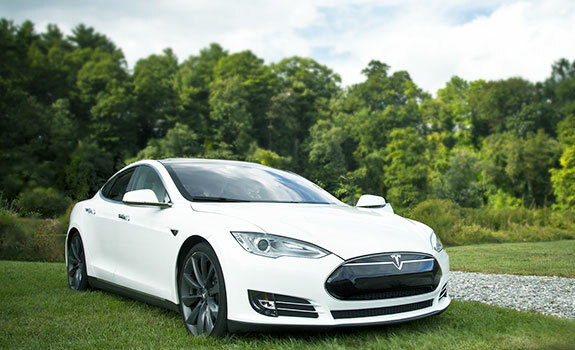 Using Tesla luxury electric cars means less fuel burned, less environmental impact and a luxury travel experience. New Zealand has some of the best locally grown food in the world - think fresh fruit and vegetables, quality farmed organic meat, and fish caught in our rivers and seas. 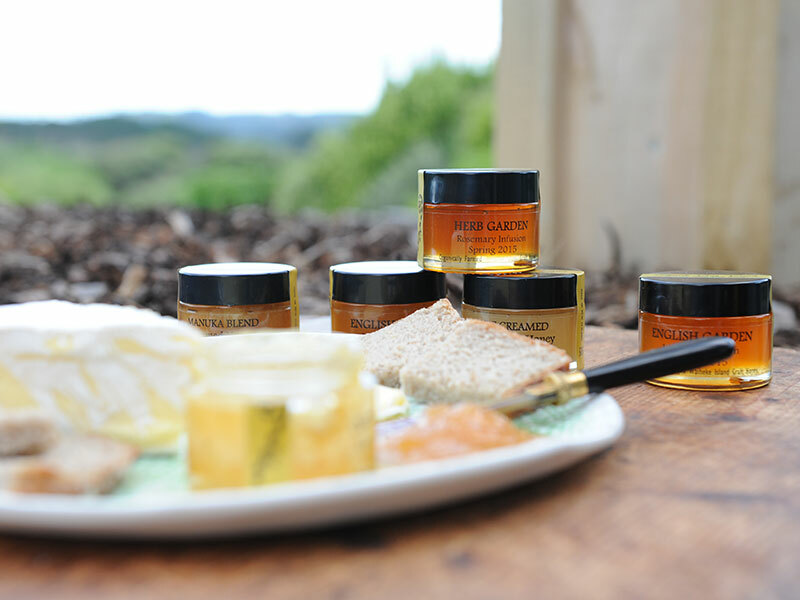 We also produce world-class honey, dairy products and a variety of other goods unique to the land of the long white cloud. To ensure our clients get the most from our delicious cuisine and the best of our fresh produce, our chefs work hard purchasing fresh products en route to cook for you. Plastic packaging is excluded, so re-cyclable paper is used to wrap fresh produce. There really is no point in buying imported food which has to use extra energy and pollution to get here so we just don't do it. Better yet, New Zealand has a fast-growing organic food movement. That means no nasty chemicals or preservatives in your food. Making a commitment as a leader in New Zealand luxury tourism means we have put our stick into the sands of New Zealand and know where we are going and why we won't compromise the environment just to make that extra buck! We are committed to luxury without the waste - about great experiences that reduce our environmental footprint.